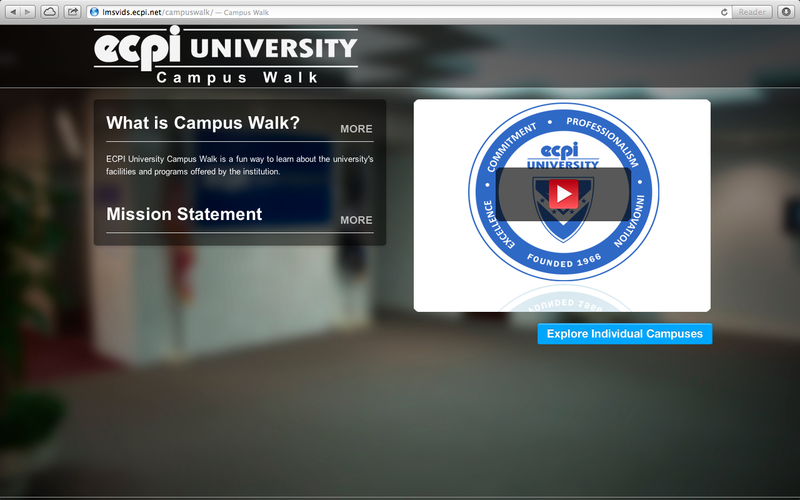 LMSViDS, designed to be YouTube–esque video repository for ECPI University it is used for video content delivered thru the MOODLE LMS. 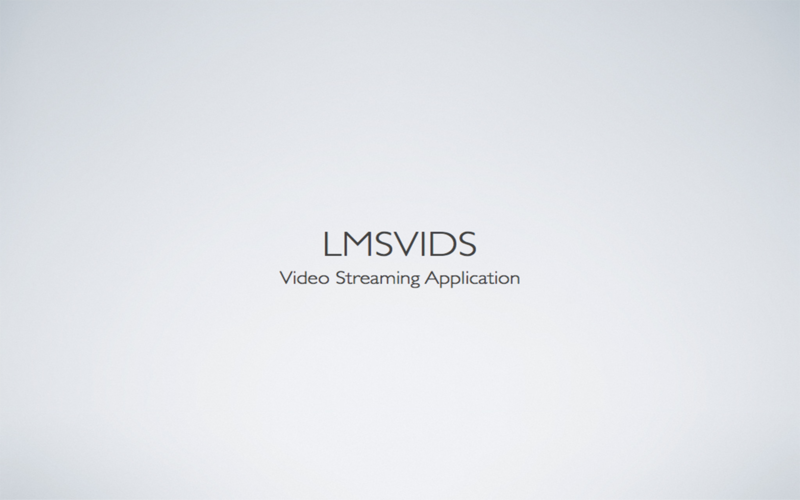 LMSViDS is also responsible for mapping the university’s learning outcomes, course information, usage monitoring, link checking integrated YouTube links, and reporting to video content while creating video compatibility regardless of device. 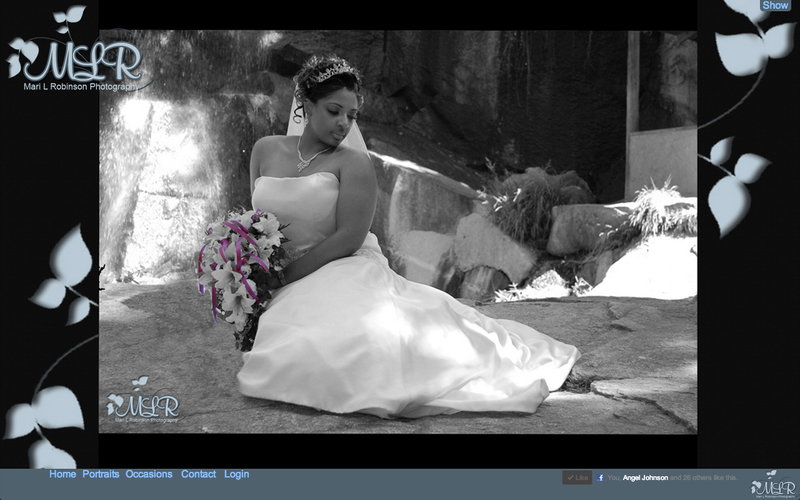 A website developed to give users a look at all of the university’s campuses. 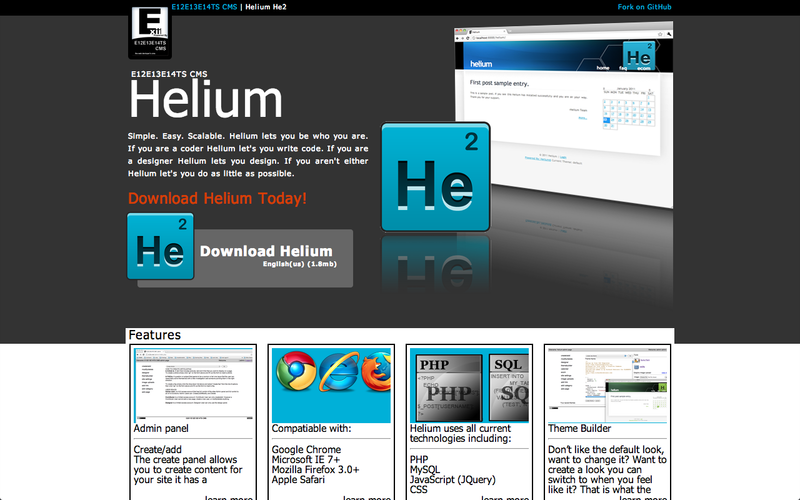 A web-based application that allows faculty to submit iOS applications for university adoption. 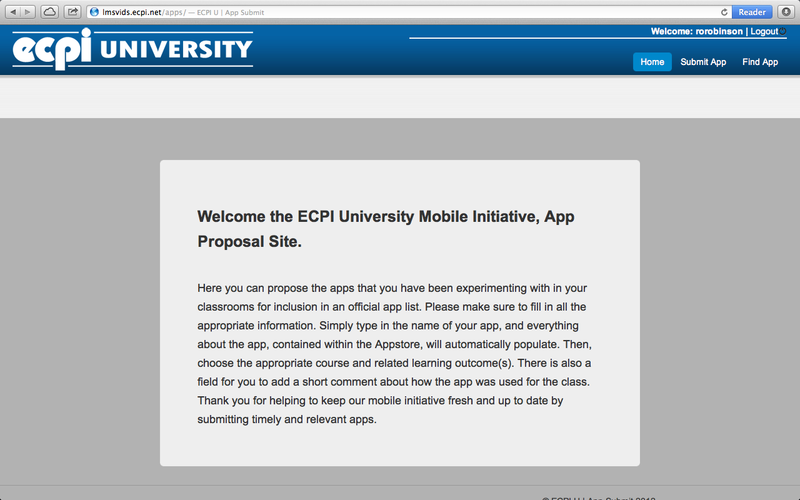 This application supports the university’s mobile initiative. 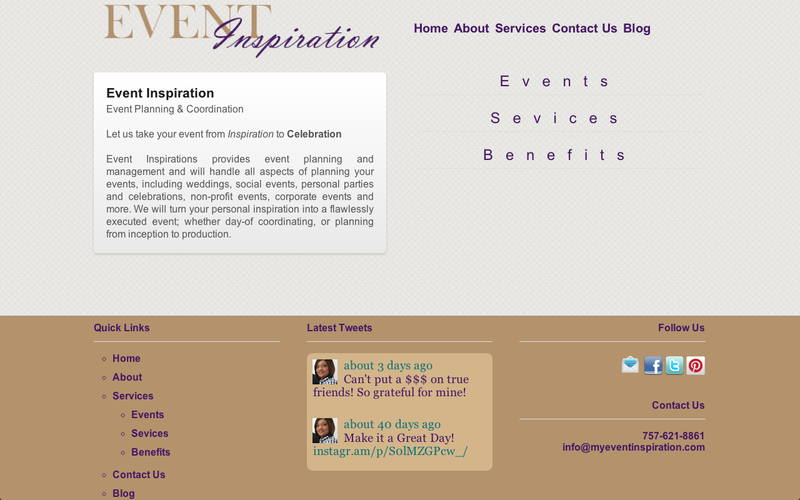 Create a website for a event planning start-up. 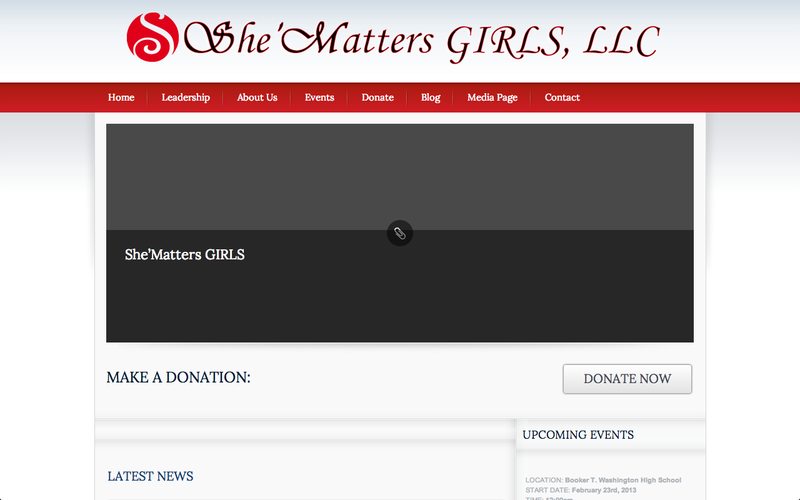 Create a website for a girl centric non-profit organization using the Wordpress platform. 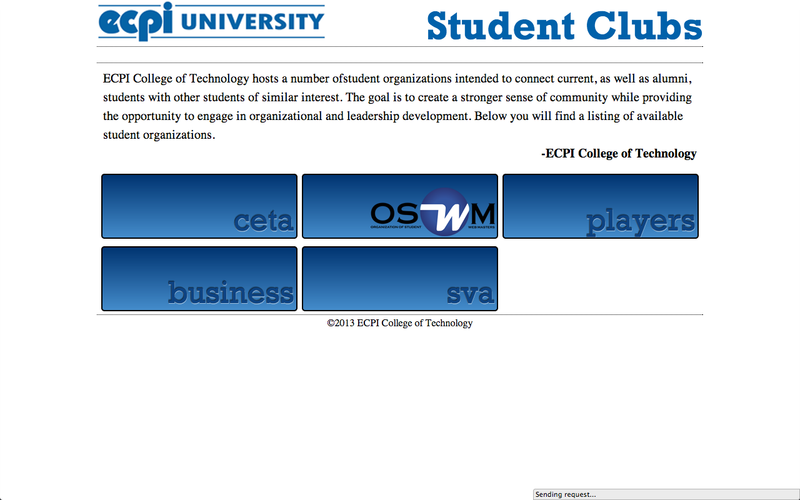 A website that displays all the clubs that the University offers. 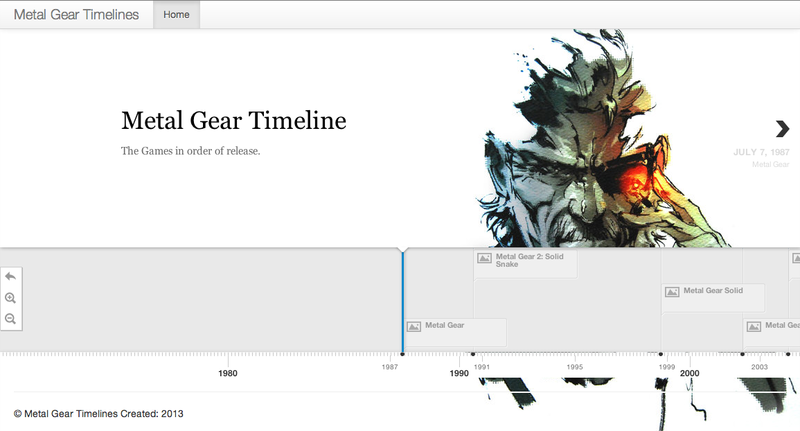 This site is a series of timelines of Metal Gear events. 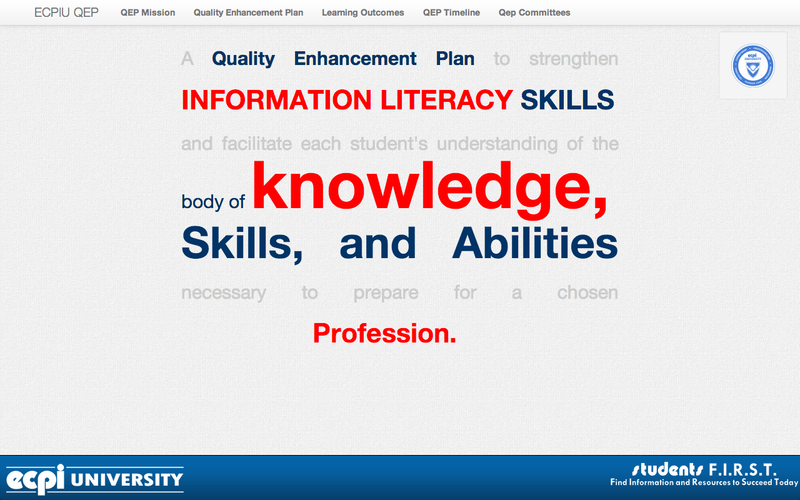 A website to help students, faculty, and staff understand the QEP (Quality Enhancement Program) for the university and the overall enhancement process.